Merrick Garland: Record on abortion rights entirely blank. Chuck Hagel: Supports insurance coverage for abortion for military women. Joe Manchin III: Pro-life; pro-NRA; anti-EPA. Donald Trump: Legalize drugs and use tax revenue to fund drug education. Haley Barbour: Ban synthetic marijuana. Jon Huntsman: Never smoked pot; never legalized it in Utah. Mitch Daniels: Alternative sentencing for marijuana possession. Mitt Romney: Opposes legalization of recreational or medical marijuana. Newt Gingrich: Marijuana legalization would tear America apart. Joe Manchin III: Named coal West Virginia's official state rock. Elena Kagan: Let citizens sue for harm caused by global warming. Brian Fitzpatrick: Rated 71% by League of Conservation Voters, highest in GOP. Carlos Curbelo: Co-chair of Climate Solutions Caucus, but rated 23% by LCV. Matt Gaetz: Introduced bill to abolish the EPA. Donald Trump: Won't go to circuses that cut elephants due to animal rights. Chris McDaniel: Hip-hop culture values prison more than college. Donald Trump: FactCheck: No, VATs are not tariffs against US exports. Chris McDaniel: Blames rising gun violence on "hip-hop" culture. Chris McDaniel: Waterboarding was effective on suspected 9/11 terrorists. Ralph Nader: Chose 16-hour day work instead of personal life. 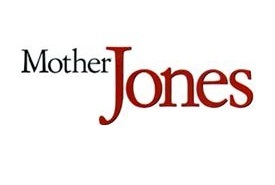 The above quotations are from Columns and news articles in Mother Jones magazine.